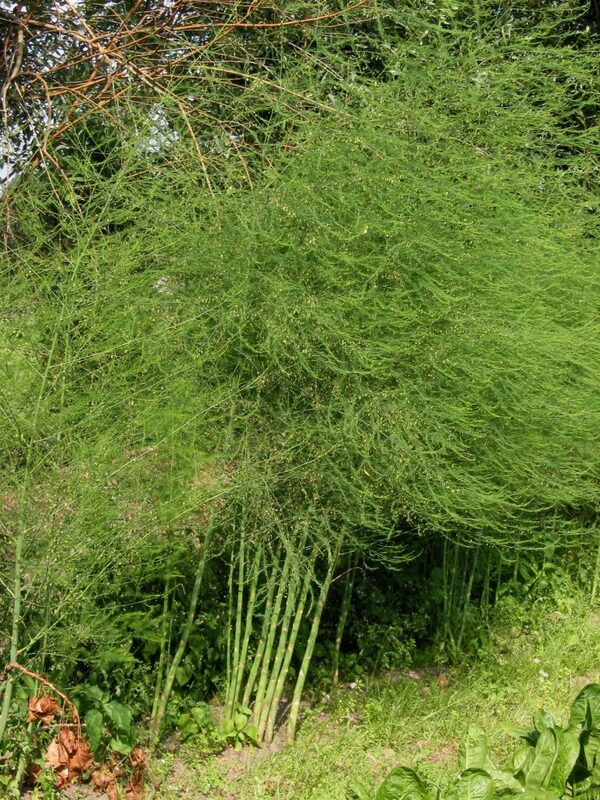 Asparagus officinalis is a perennial herb; a monocotyledon, to 2 m tall, plant green, upright, ultimate branches feathery, 0.8-1.5 cm, hair-thin. Asparagus officinalis mature plants. commons.wikimedia.org (Accessed 10/2017). Leaves reduced to inconspicuous scales, branches and stems carry out photosynthetic functions. Flowers green, 0.3-0.5 cm wide, radially symmetrical, 6-parted, bell-shaped; pollinated by insects, May-June. 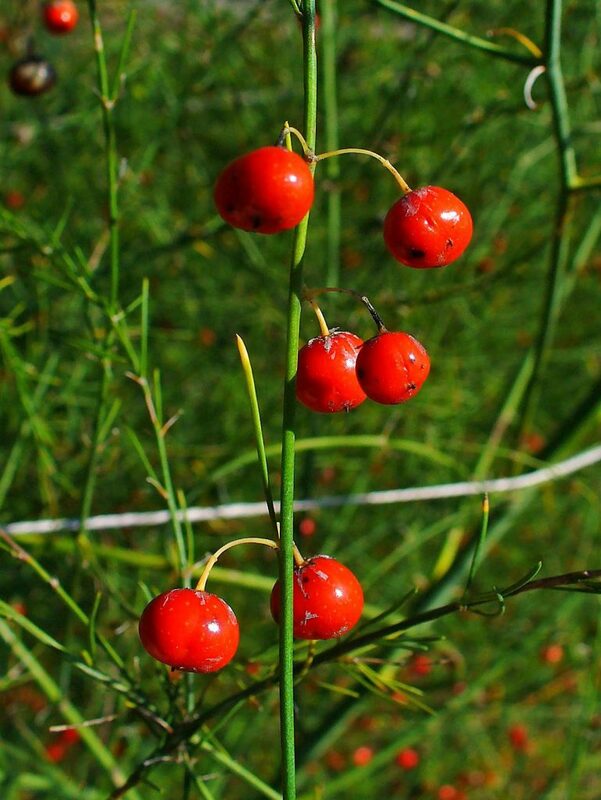 Fruit red, fleshy, 0.8 cm, eaten by birds, which disperse the seeds, May-June. 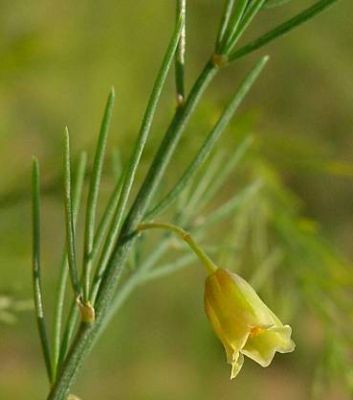 Asparagus officinalis, flower close-up. photo by Leo Michels. luirig.altervista.org (Accessed 10/2017). Frequency in NYC: Infrequent. Apparently widespread but not common. Habitat: Open, relatively undisturbed areas, roadsides, salt marsh edges. 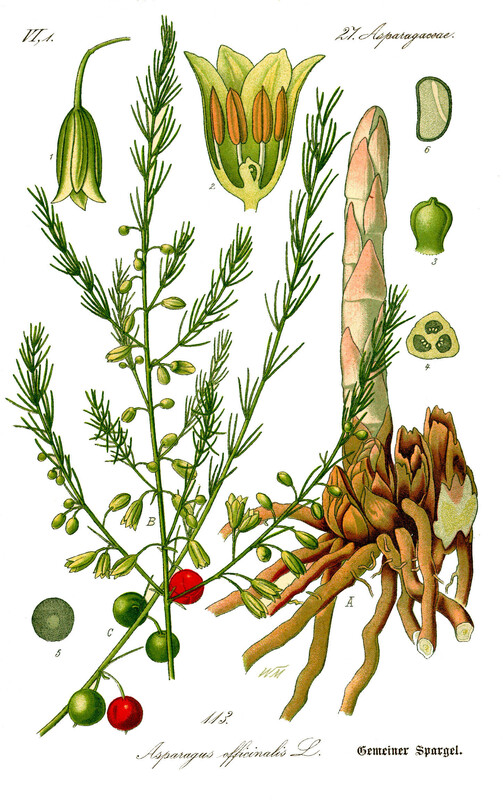 Asparagus officinalis. fruit. commons.wikimedia.org (Accessed 10/2017). Notes: Escaped food plant, unexpanded shoots edible.